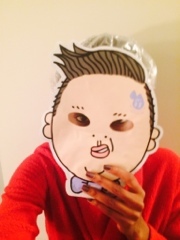 Psy Energy Factory Hyaluronic Acid Sheet Mask- Gangnam Style! 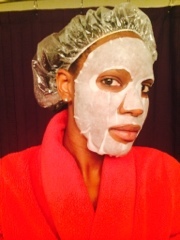 So last night after after I finished prepping my hair for GHE (yes I'm doing that again, and you'll see why in the next post), I decided to try a sheet mask I was gifted. Sheet masks are typically found in Korean cosmetics stores/websites. This one in particular was loaded with hyaluronic acid, which I LOVE. Pretty much everything I use in my skin care regimen has Hyaluronic Acid in it. 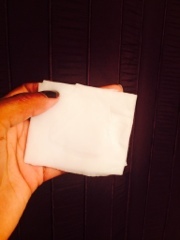 It is great for anti-aging and just soft, supple skin in general. 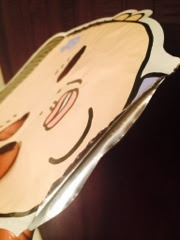 The mask I was gifted is officially called Psy Energy Factory Hyaluronic Acid Sheet Mask. When you finally get it open it has holes for your orifices and it's pretty self-explanatory. I left the mask on for 15 minutes and went about my business, doing other things. 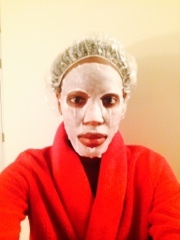 The effect-- after I removed the mask, my skin felt very soft and TAUT. I massaged the excess serum into my face for a good three minutes and let it just kind of seep into my pores. 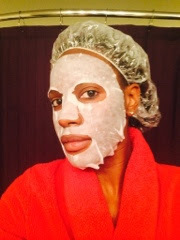 While the mask was on, I felt a cooling effect. Like my pores were just opening up. It was nice. There was still some leftover serum in the Psy face and I used it the following morning. I really have no idea what these typically go for. I did a quick google search and found one on Ebay and another from a website I've never purchased from before. 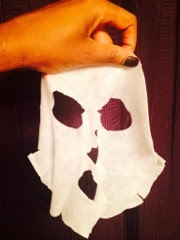 In a nutshell- I would be willing to try sheet masks again-- and I will! I went to New York a couple weeks ago and stocked up on a few different kinds so I definitely have a lot of these to get through. You can't go wrong with Hyaluronic Acid either!